One frame in a sequence of images capturing the rotation of the Mercury Planetary Orbiter's high-gain antenna. The images show the main reflector dish, with the three struts holding the sub-reflector and the antenna feed at the centre of the main reflector dish clearly visible. 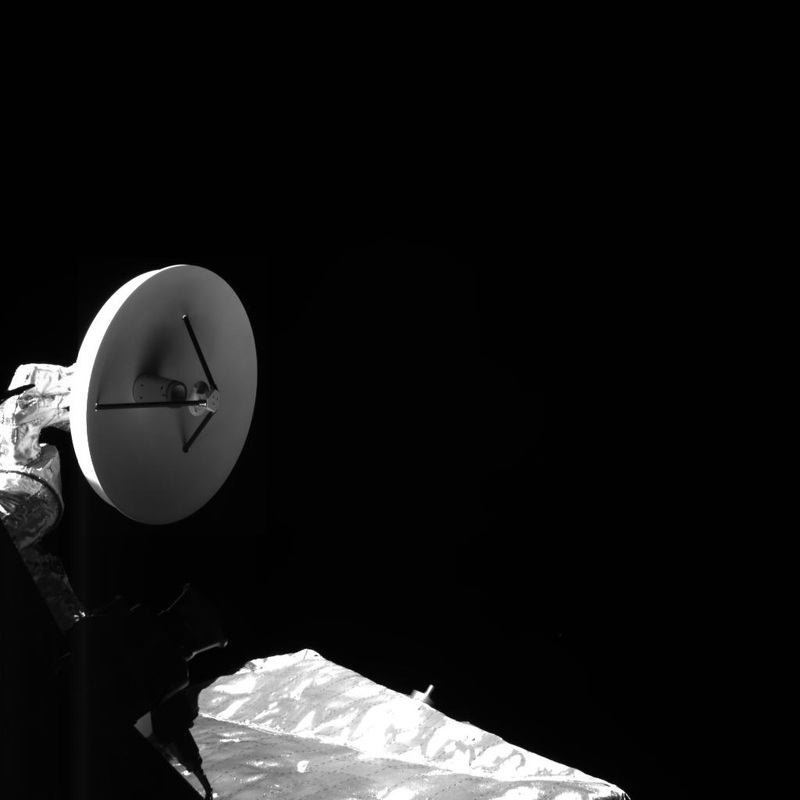 The side of the Mercury Planetary Orbiter with the low-gain antenna, which protrudes from the side of the module, is also visible, together with some detail of the spacecraft's multi-layered insulation. The image was taken on 28 November 2018 by one of the Mercury Transfer Module's monitoring cameras, M-CAM 3. The image combines two pictures with different exposure times to account for the different brightness levels of different parts of the spacecraft.